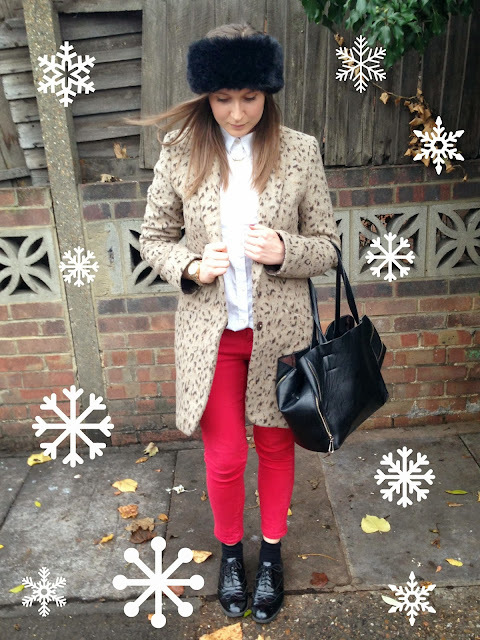 i wish i could wink: Festive OOTD: Red and Leopard + Competition Time! 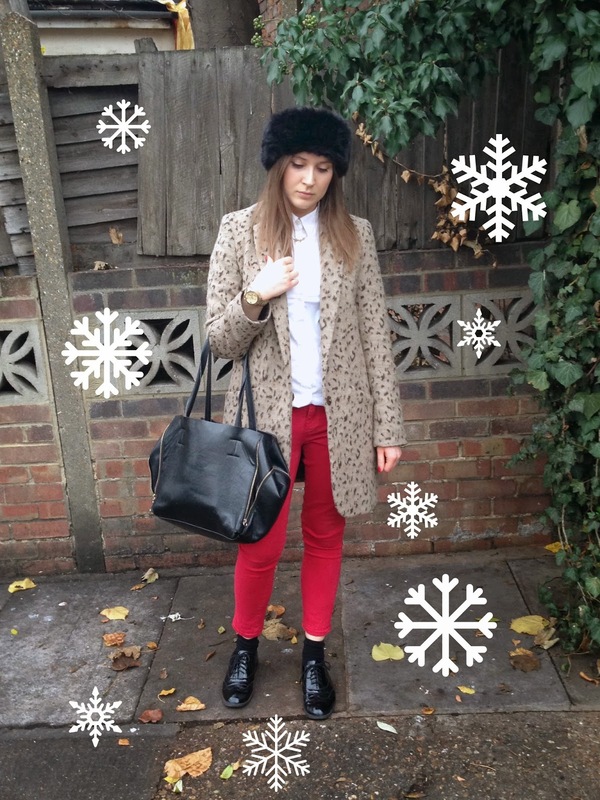 Festive OOTD: Red and Leopard + Competition Time! So, I haven't blogged for about 10 years. I've started my new job, and I have to leave my house at 7:30 and I get in at 6:30. This leaves no possible time/daylight for OOTDs in the week, such blogger problems. My friend Rosie says I need to smile more in my OOTD photos cos I 'always look sad'. But I just can't! I tried but I just look crazed. I'm sorry Rosie! I wore this outfit to do a bit of Christmas shopping before heading to The White Pepper sample sale, where I purchased a delightful denim dress for the bargainous price of £20. The sample sale was definitely one of the best I've been to, it was nicely organised by price, they had actual good stuff and not tat, plus it wasn't horrendously busy. Good work The White Pepper. This weekend, two of my besties came down to visit, we went to the Big Reunion at the O2 last night and then did some tourist-y bits today. It was lush to see them and I ended up going to places I've never been which was a bonus. 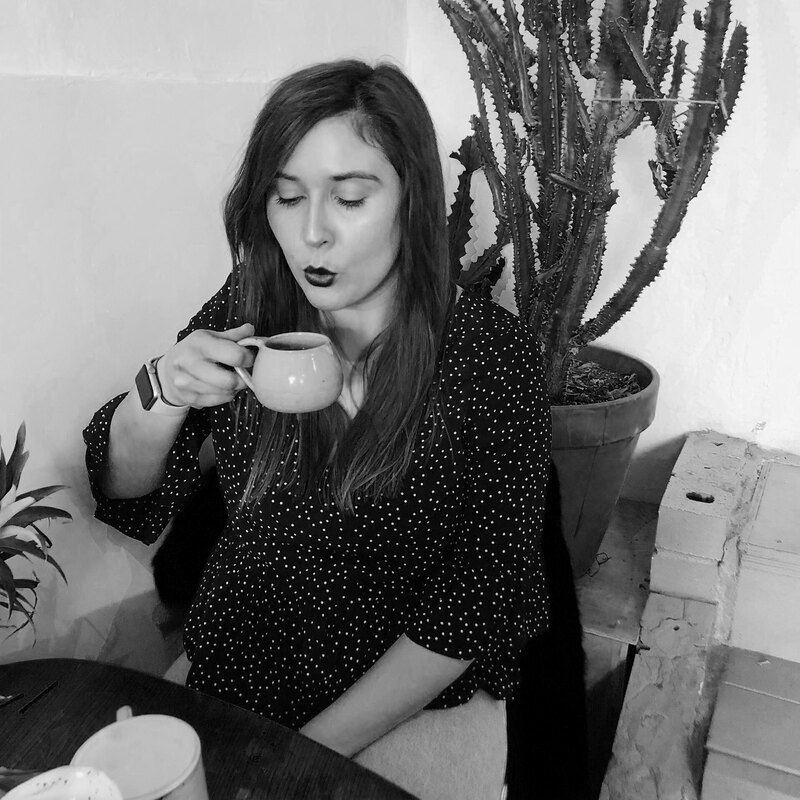 We had brunch at Jamie Oliver's cafe in Notting Hill (I had mushrooms in a cream sauce on toast- so so delicious) and then went to Buckingham Palace followed by a trip to Harrods, where we had a drink in the Disney cafe. They have a new thing in the Disney section of Harrods called the 'Bibbidi Bobbidi Boutique', where they give kids a makeover to be like their favourite Disney prince/princess. It is actually amazing, oh how I wanted to be made into Belle from Beauty in the Beast! Damaris are running a lovely little festive competition to win £1000 worth of lingerie, plus 5 runners up prizes. All you need to do is enter via one of their social media channels to be in with a chance, then leave a comment on this post to say you have entered with a link to your account. My favourite picks are the gorge Medusa and the super cute Exotique. Good luck! You look amazing! That coat is just incredible and I love the jeans teamed with the shirt, so chic! 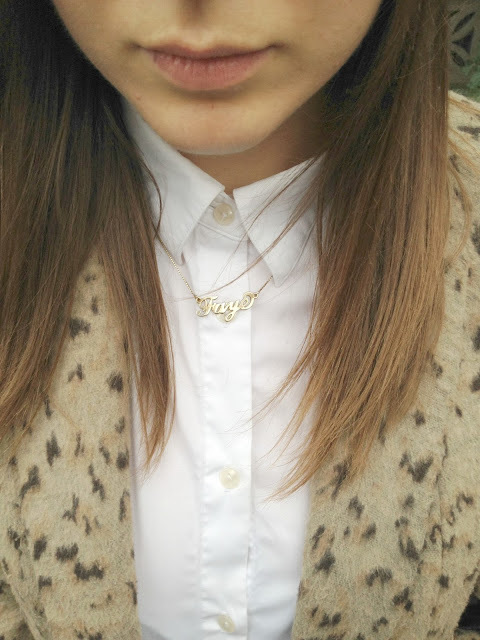 how cute is your name neckalce?!? i need one! Haha I know what you mean, it's nice and subtle :) thanks! Ha ha I love it that your friend told you to smile. I hate smiling because my front tooth is a bit wonky so I totally get where you're coming from. I love the coat and the entire look to be honest! 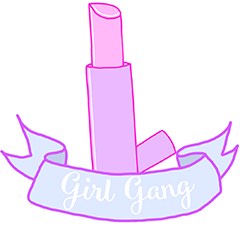 Thanks for coming over and commenting on my blog too!